Advance Adult sales open from September 1 to October 9. At the door price is $12.00. Age 3 to 16 Advance Full day ticket either Saturday or Sunday to the NoCo Mini Maker Faire. Price increases to $8 at the door. Enjoy great food, creative makers and fun with friends while being the designated driver. Advance Full day ticket for Saturday and Sunday to the NoCo Mini Maker Faire. Increasing to $25. at the door. For every $15 we can provide a one day entrance to the Faire for a child and adult from a low income partner. Please help Inspire underserved families to learn to Make. What day and hour will NoCo MiniMaker Faire be open to the public? Makers After Dark is for 21+ only and is Friday, October 9 with from 6-9 pm. Then the full faire runs Saturday 10am to 5pm and Sunday 10 am to 5pm. What will be the ticket price at the door? Make a donation to INSPIRE low income kids in making the future. INSPIRE tickets are $15. and provide for a free ticket for low income children and an adult companion to attend the event. We will provide these tickets through nonprofit youth organization partners. Makers After Dark price will be $60 at the door, $50 in advance and $45 Early Bird. Maker exhibitors and Inventor Showcase competition fee is based on booth size and company type - information is available on the application form. The entrance is on S Taft Avenue, Free Parking is on the North side of the building. Handicap parking is located directly in front of the entrance. In the farthest North Parking lot. Regional bus services are provided by RTD and has connections to Boulder, Fort Collins, Denver and Denver Airport. Service dogs welcome. Warning: Dogs may find some exihibits distressing. Volunteers are welcome! Please fill in the following form for volunteering, click here. The Faire will mostly take place inside. Outdoor exhibits will be in full swing come rain or shine. Buying your tickets early and online insures you are getting the best deal. Early Bird pricing is the least expensive, however, even advance tickets cost less than what you will pay at the door. 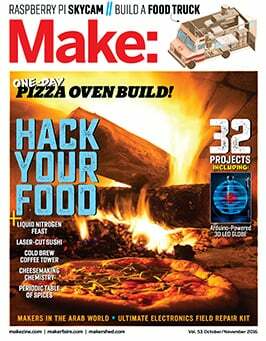 Colorado Maker Hub is a nonprofit 501c3 organization that fosters maker innovation. We do this by advancing and connecting Colorado makers – a vibrant community of tinkerers, tech enthusiasts, artists, educators, youth makers, inventors, hobbyists, science clubs, students and entrepreneurs – through events, education, pilot programs and online collaboration. We are committed to bridging the digital and workforce divide by inspiring, educating and informing people of all ages about opportunities in education, careers, and entrepreneurship through the maker movement. Please consider donating a ticket to help us bring in attendees from underserved populations. To keep informed on makers in Colorado, sign up for our newsletter or follow us on Facebook at CoMakerHub.